New for 2017 is the 1600 Modified Masters. 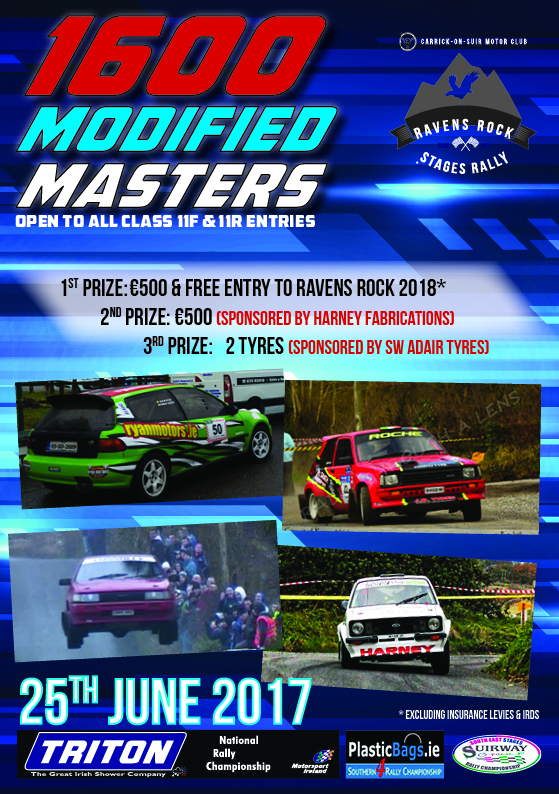 Entries are open to all Class 11F and 11R!! Who will be crowned the 1600 Modified Master??? 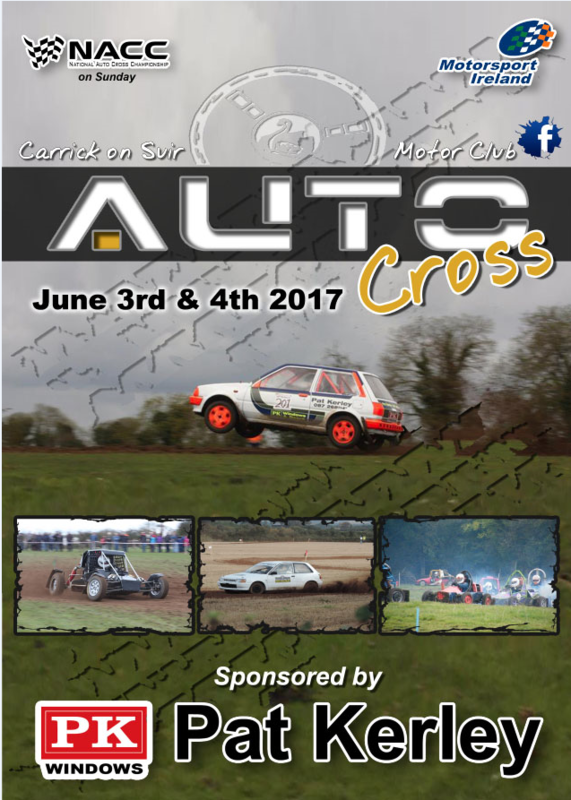 Our next event at Carrick on Suir Motor Club is our Autocross Weekend. 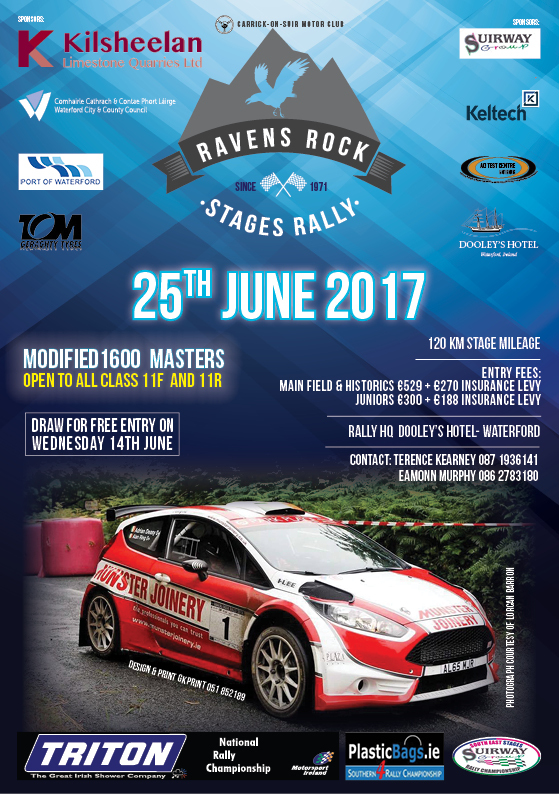 This year, the event marks the third round of the NACC which has been kindly sponsored by Naas Driving Academy for the 2017 season. Also, big thanks to Pat Kerley of PK Windows for his continued support and sponsorship for the non championship running day. 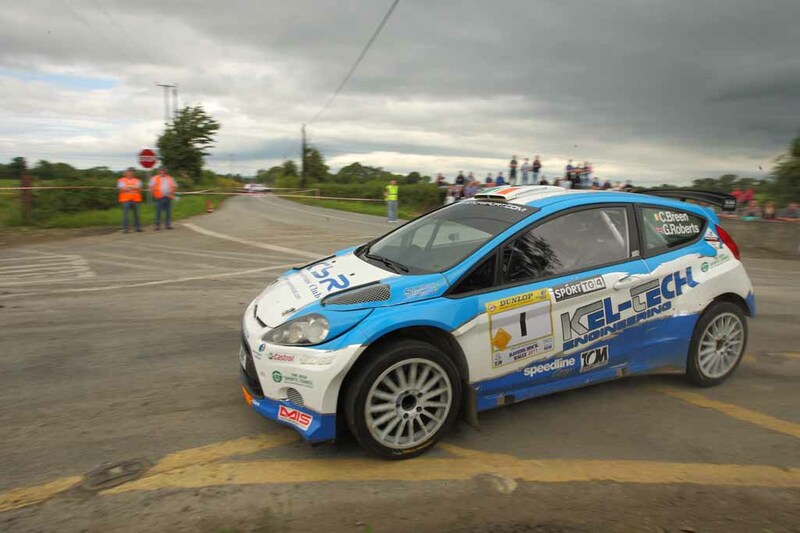 Provisional results after Round 2 of the Suirway Group South East Stages Rally. 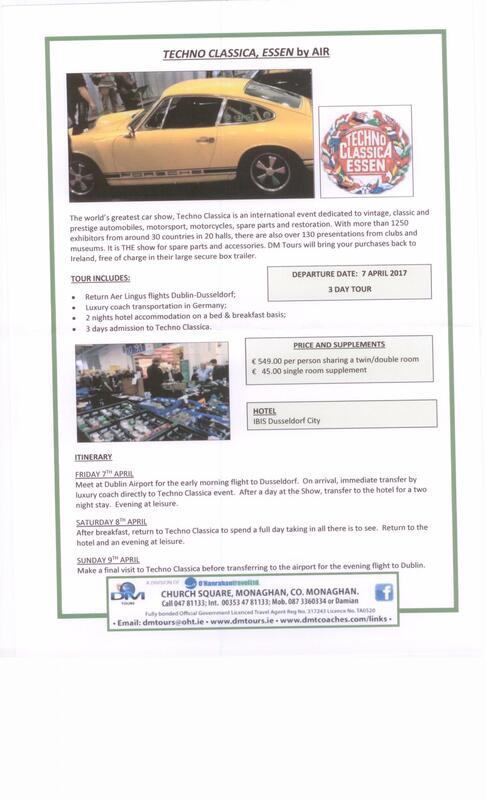 DM Tours are running a trip to Techno Classica in Essen which departs on the 7th of April for Beaulieu Autojumble in September and The Classic Car Show in the NEC in November. 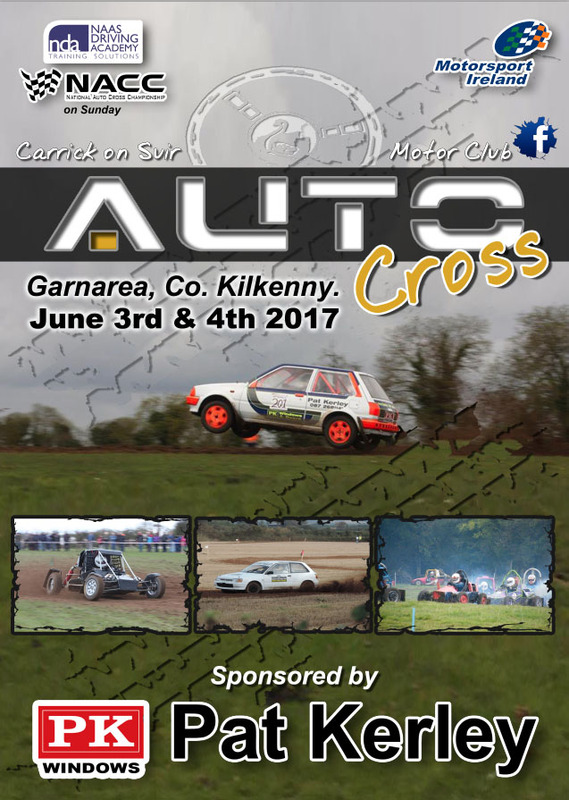 The IVVCC Festival of Transport for 2017 will take place in the Punchestown race course on Sunday May 14th, 2017. The cost of tickets is €10. The booking form can be returned to Jenny Senior, OGS, Unit 502 C, Greenogue Business Park, Rathcoole, Co. Dublin. 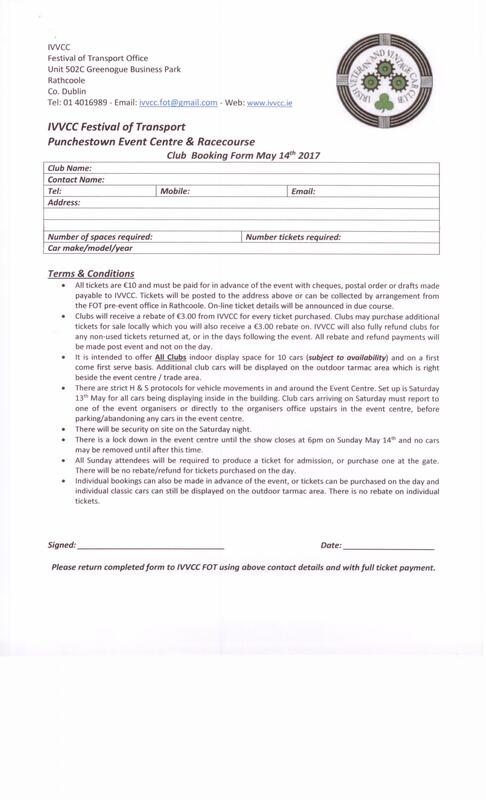 Please make all cheques payable to the IVVCC. Wexford Motor club is hosting a Social night next Saturday 18th of February in the Riverbank House Hotel at 8 p.m. the evening is dedicated to the early years of the club and events of that era. 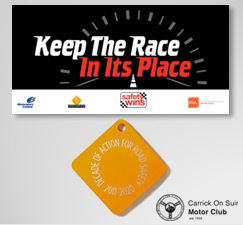 As Carrick on Suir MC hosted the early events with Wexford they would be pleased if club members could attend.